101 mins. Rated PG for mild language. Hey everyone, another year, another 12 Days of Christmas! I’m glad you joined me on this ride again. 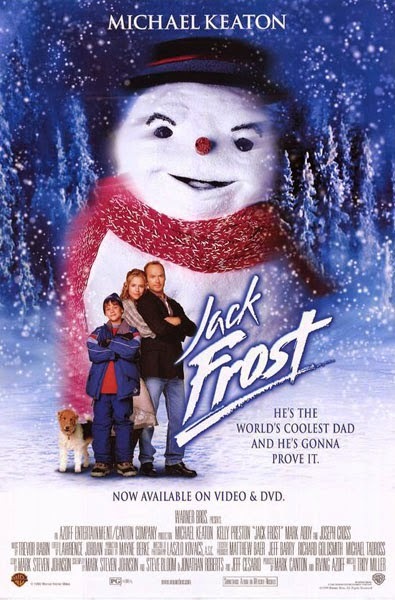 Let’s begin by looking back on a film that I initially didn’t care for but wanted to revisit: Jack Frost. No, I’m not talking about the horror film, but yes, one day I’ll show you that. This is the Michael Keaton (Birdman, Spotlight) film. 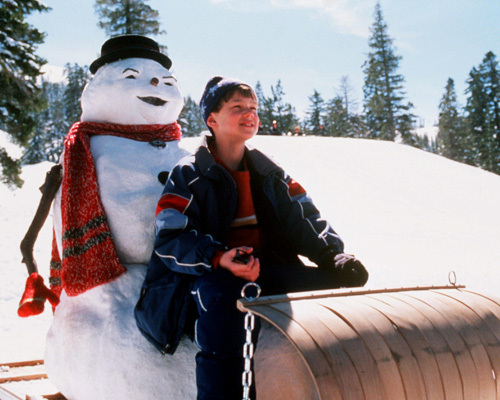 From director Troy Miller (TV’s Arrested Development, Dumb and Dumberer: When Harry Met Lloyd) comes the story of a musician named Jack Frost (Keaton) who hasn’t been able to juggle his personal life with that of his family, including wife Gabby (Kelly Preston, Jerry Maguire, Casino Jack) and son Charlie (Joseph Cross, Lincoln, Milk). Then, one fateful snowy night, Jack is involved in an accident while driving home to set things straight with his family and dies. Yeah, you heard right, he dies. Deadzo. Then, the following year, as the Frost family struggles to cope with the anniversary of Jack’s death, something magical happens. We don’t really know what, but the important thing is that Jack Frost comes back in the form of a wise-cracking pun-filled living snowman. Jack has little time to set his affairs in order and right the wrongs of his life, so with help from his son Charlie, Jack sets out to prove he’s the “coolest” dad ever (hot damn, even I can’t believe I just wrote that). On second viewing of Jack Frost, I was sad to find that my initial thoughts on the film hadn’t changed. I felt this strange feeling of disappointment that so much could go wrong here. I happen to think that Michael Keaton is one of the greatest and yet underappreciated actors currently working (and I love that he received such notoriety for last year’s Birdman), but I don’t think he had much to work with here. The script is so poorly written, giving way for too much fluff in a film that should be a dad trying to right his wrongs. For one thing, a ball is dropped by never letting Jack interact with his wife. Being a man back from the great beyond, I would want to see my wife, tell her I love her, and give everything I could to make her understand that I’m okay up there, but Jack doesn’t get to do that. 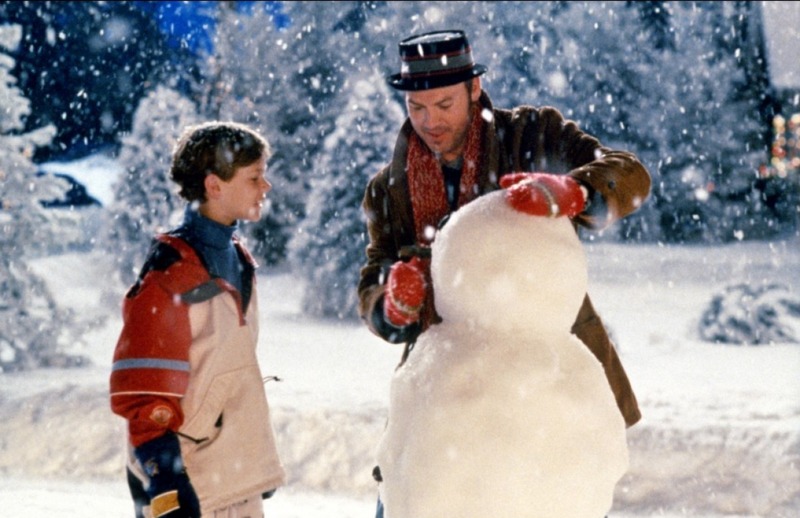 Instead, he has a snowball fight, and a sledding scene, which could be fun, but give me something here. I didn’t have a lot of problems performance-wise because I don’t think the fault can be placed on the performers. This script is riddled with disappointment. And don’t tell me that the film is meant to be a heart-warming tale of a father and son, because I see what it wants to be and raise it a level by asking why the story exists. What’s the why here? Why did Jack come back? Why as a snowman? And why not let him have the chance to do something about this? This story seems like the biggest fudge-up in existence and makes whoever or whatever is responsible for Jack’s return seem like a jerk. In the end, I had a lot of questions hanging after finishing the film even on the second view. The visual effects were pretty good for the time and haven’t aged that poorly, but under better scribes and the work of a better director, this story could have given our actors a playground to explore, but instead, we get a botched attempt at schmaltzy sentimentality that fails to connect to viewers.